Last week, while desperately trying to keep up with my emails, I caught the reflection of falling snow on my computer screen. 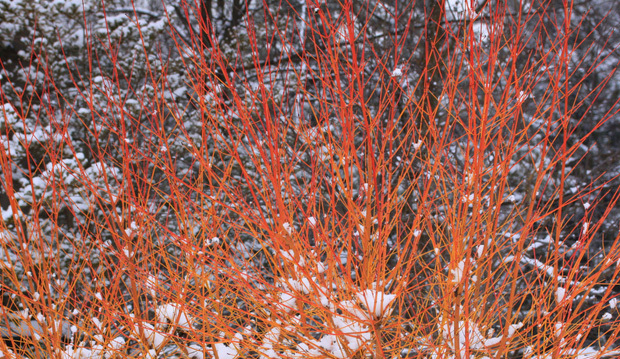 When I turned around, I was delighted to see large snowflakes beginning to collect on the Cercis canadensis ‘Forest Pansy’ branches just outside my window. It was perfect snow; fluffy and fresh. What a sight! I decided to head outdoors for a walk through the TBG gardens, but first I sent off one more quick email to my colleagues, encouraging them to get out there, too. There was just too much beauty to enjoy. On my walk, I came across three young male cardinals feeding on berries in the President’s Choice Show Garden. From there, they flew into the perennial borders, and then into Nature’s Garden. I was able to spot one lonely female who followed along but remained in the higher branches of the small trees. All four cardinals then flew into the shrubs in Edwards Gardens. 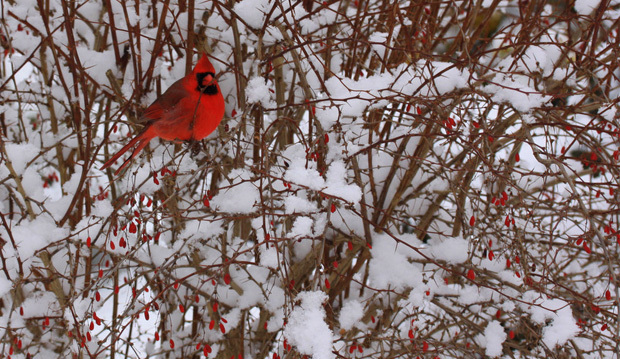 I cautiously followed, admiring their vivid red plumage, so vibrant against the new white snow and the assorted branches. Eventually, they flew off through a clearing in the shrubs and down into the valley. They led me to the view of Edwards Gardens that I provide this week. It took my breath away. Mother Nature had done it again, and in the way that only she can. This is one of the things I love most about the winter season. 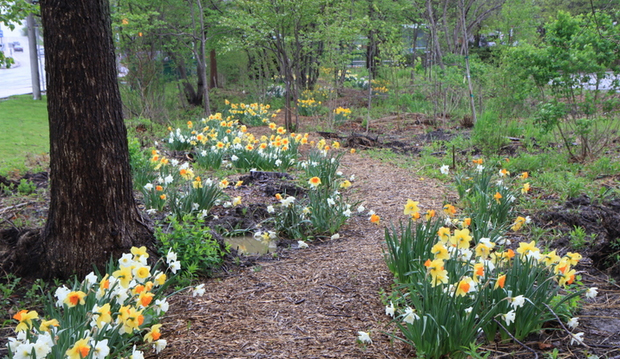 Every day, sometimes every hour, the garden is changed or altered. The winter garden has much to offer. I am so delighted to see all the snow as our gardens need the moisture and insulation that it provides. Weather permitting, please join me for a free walking tour of the gardens on Saturday, February 23 as part of our annual horticultural open house, Get the Jump on Spring. 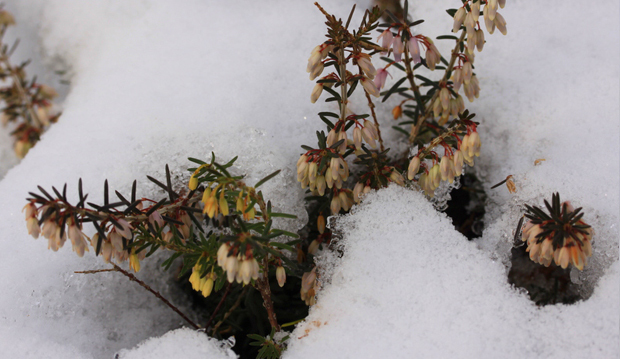 What’s in Bloom: It’s nice to be under snow!